Sorry for the lack of posts last week. I was sick with a nasty cold that seemed like it was never going to end all-week long but I'm finally feeling a little bit better! Despite feeling under the weather, this past weekend was a good one. Derek and I drove to our hometown to visit my best friend on her birthday for a party and then Sunday night was filled with plenty of wine and cheese for a Philly Wine Week kick-off. And any weekend filled with friends and wine is a good one in my book! The denim skirt trend was one that I had sworn off long ago, I truly never thought I would wear another denim skirt in my life. But alas, this one from LOFT was too cute not to pick up! 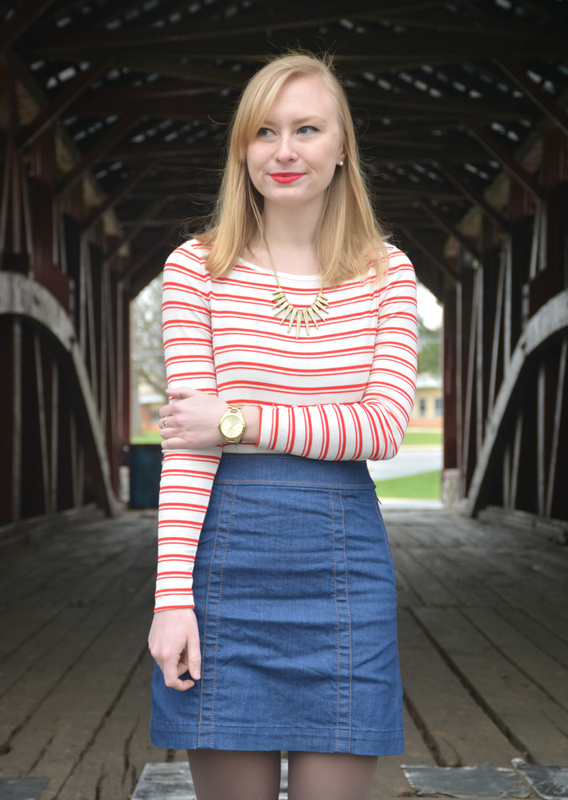 It goes with absolutely everything too, like this striped tee. I'm excited to get more use out of it this summer! 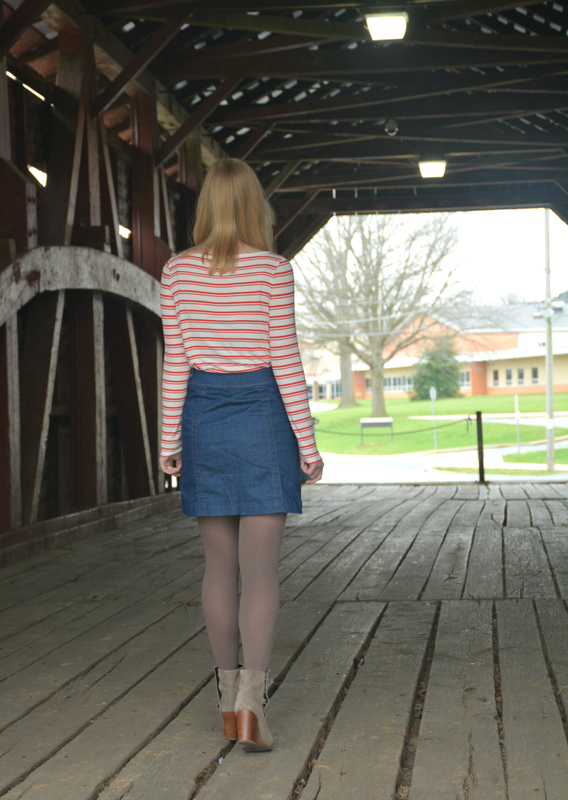 What are your thoughts on denim skirts? Yay or nay? Adore this outfit -- I'd totally wear it, and love the color of the tights; great inspiration. These pictures are absolutely beautiful! 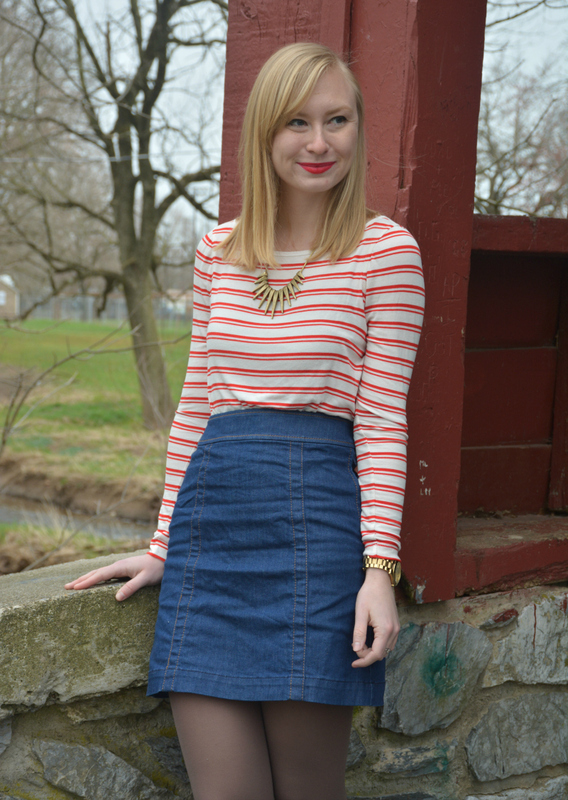 I was the same way about denim skirts....but I actually picked one up not long ago. Love your outfit! Great style!